The last race of the season either represents one final opportunity to overtake the competition or one final chance to have fun. If you were skillful enough to maneuver into a position where you have a legitimate chance to win, the decisions this week are critical. NASCAR implemented the current knockout-style format in 2014 and since then the four Chase contenders have been predictable in the final race. 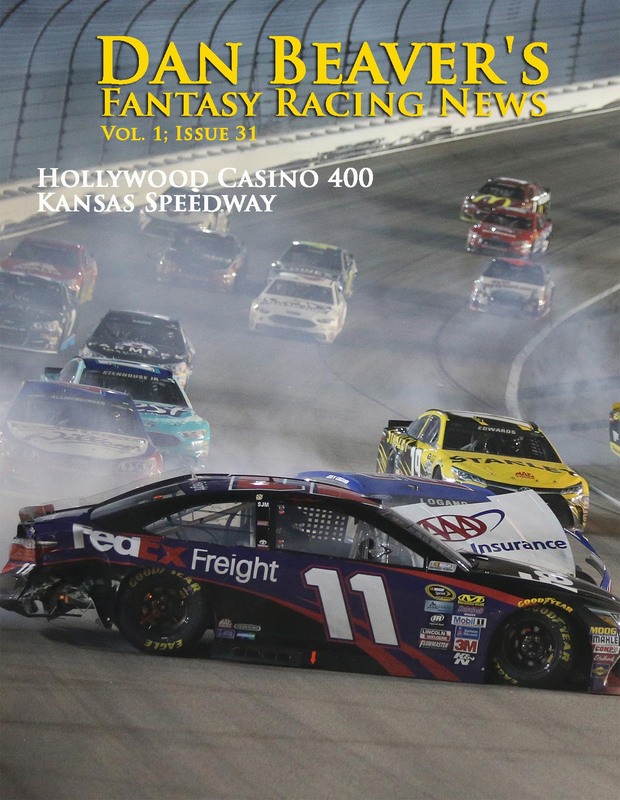 The cast of characters changed, but a Chaser won and finished second in both races, a third finished either sixth or seventh, while the worst playoff contender finished 16th in 2014 and 12th last year. 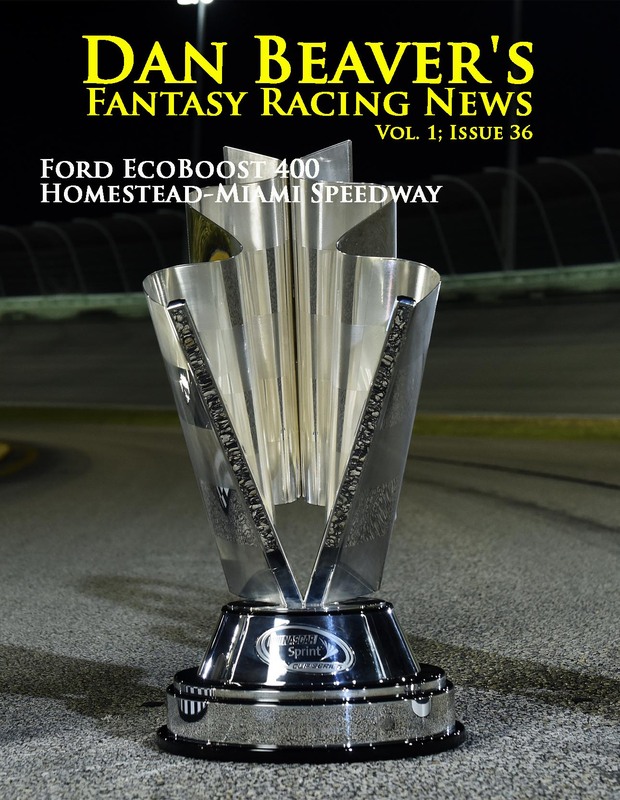 Odds are good that the Ford EcoBoost 400 winner will be the champion—and that the second-place driver in the standings will finish between at least second and fifth. A third driver will finish in the top 10 and the fourth will hover around the top 15. The rubber match of round three this week comes on one of NASCAR’s great venues. The one-mile flat tracks require a delicate balance of speed and skill. The straights are long enough to require exceptional horsepower and the corners are tight enough to necessitate strong brakes—and it takes a special driver to balance aggression and patience. Twice the size of Martinsville, Phoenix International Raceway does not have the same challenges in regard to traffic, but there are still a lot of similarities. Drivers have to back up the corner and ease into the turn so they can maximize the exit. The difference between charging a turn or easing into it can be a matter of a few feet, but the momentum that either creates or destroys is felt all the way around the track. In NASCAR tenths of a second in clean air can make a huge difference in performance. 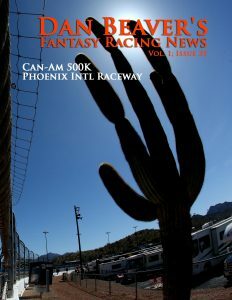 The Can-Am 500k is the third and final race during the Chase on a short, flat track, so fantasy owners have some recent records to consider. Look first to how drivers performed on the other one-miler of New Hampshire Motor Speedway. 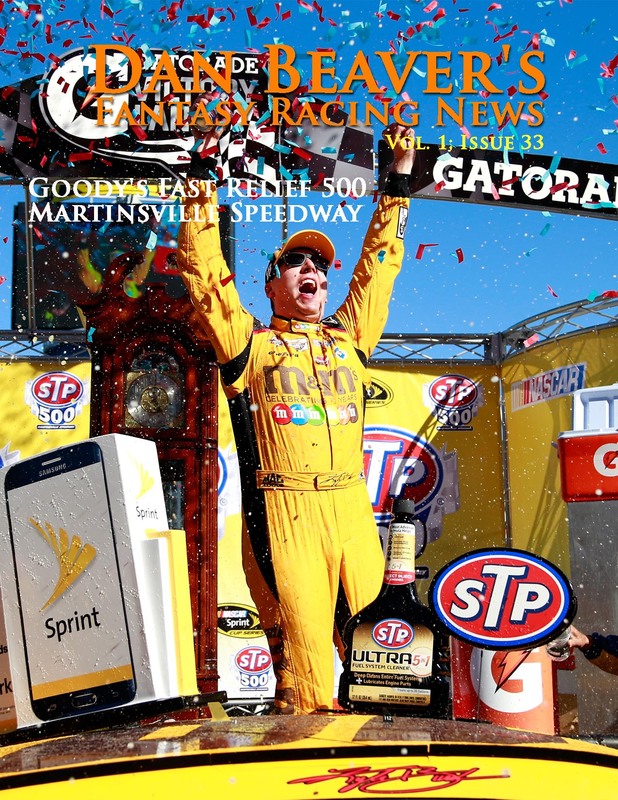 If a racer was strong there and at Martinsville two weeks ago, they should be highly regarded. Next, look to the fall Richmond International Raceway event and the rest of the short, flat track season on these four tracks. Then consider how well a driver performed in the Good Sam 500k this spring and their overall Phoenix record. 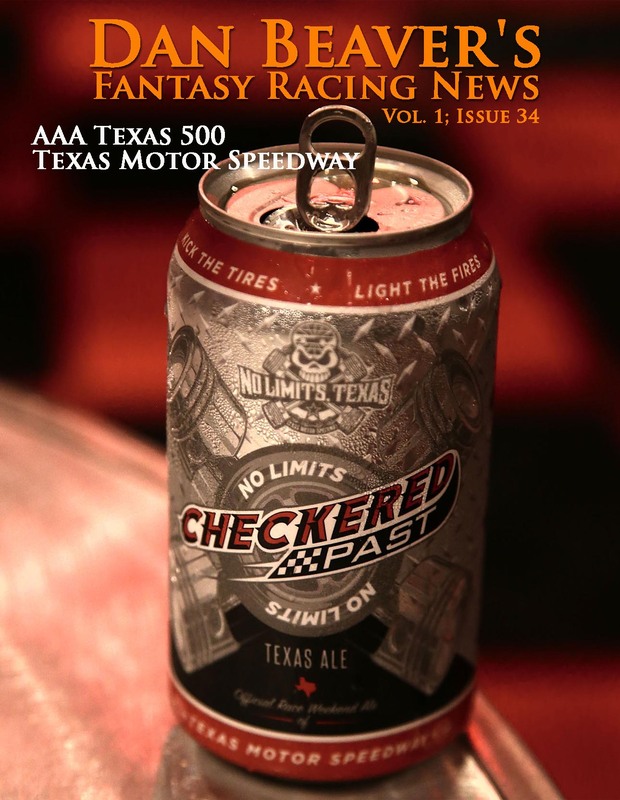 The AAA Texas 500 is the last of 10 races held on similarly-configured, 1.5-mile tracks this season. Homestead-Miami Speedway is also a 1.5-miler, but its unique shape often keeps it from getting lumped in with the other, so-called “cookie-cutter” courses. 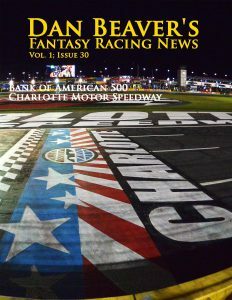 For purposes of handicapping, we normally look at Texas Motor Speedway, Atlanta Motor Speedway, Charlotte Motor Speedway, Las Vegas Motor Speedway, Kansas Speedway, Chicagoland Speedway, and Kentucky Speedway as the doglegged or double-doglegged 1.5 milers/. We occasionally toss in the two-mile Michigan International Speedway and Auto Club Speedway for good measure. Yes, yeah, yeah… Every track is unique, but that is a concern only for the drivers. These 1.5-milers are similar enough in terms of what they require from teams that the same cast of characters tends to dominate the front of the pack. No one has swept the top 10 on this course type in 2016, but there are still some standouts. Jimmie Johnson and Kyle Busch have top-fives in more than half the first nine races, while a few others have top-10s in all but two events. These drivers are Kevin Harvick, Brad Keselowski, and Kurt Busch. Martin Truex Jr. has perfect record of top-15s on similarly-configured, 1.5-mile tracks—as does the elder Busch brother. On this track type, it pays dividends to top load with talent. Lightly-funded teams do not have the resources for hours of wind tunnel testing or complicated simulations. They have good, but not always the best, engineers and a little loss here and there combine for a big deficit. Martinsville is one of the short, flat tracks. While they vary in length, Richmond International Raceway, New Hampshire Motor Speedway, and Phoenix International Raceway all share a similarity. In order to go fast on these tracks, drivers have to ease into the turns and accelerate at the apex. That was true last month in the Bad Boy Off Road 300 in New Hampshire and it will be the case two weeks from now in Arizona. With three short, flat track races in the Chase, skill on this course type is imperative to winning the Championship on par with the similarly-configured, 1.5-mile tracks. Round three is significant because two of the short, flat track events can be found there—just as round two had a pair of “cookie-cutter” races. In between Martinsville and Phoenix, NASCAR visits the final similarly-configured, 1.5-mile track of Texas Motor Speedway. 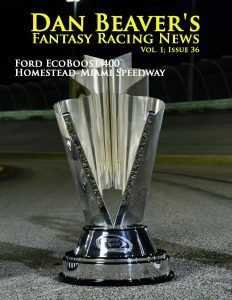 Despite being 1.5-miles in length, Homestead-Miami Speedway’s shape is unique and makes the Ford 400 inimitable. Martinsville is also a short track. 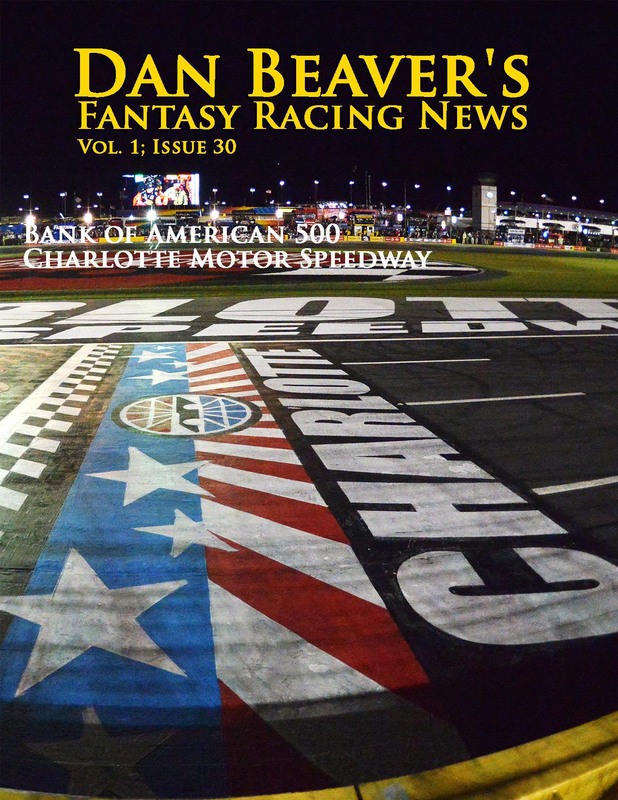 Along with Richmond, fantasy owners can look for inspiration to Bristol Motor Speedway. The high, progressively contoured banks on that track are certainly different than the 12 degrees of banking faced this week, but on both courses racers have to navigate heavy traffic. Simple math reveals that only 12.5 percent of this week’s field can earn a top-five; 37.5 percent will finish in the top 15 so the competition for those spots in intense. Drivers will do almost anything to earn one of those positions. That includes trying to occupy the same piece of real estate as their competitor. Instead of mathematic, physics applies here: no two objects can occupy the same place at the same time. When they try, something catastrophic occurs. Since practically every car running on the track is in one big pack, the likelihood of an accident impacting one’s entire roster is in the 90 percent range. 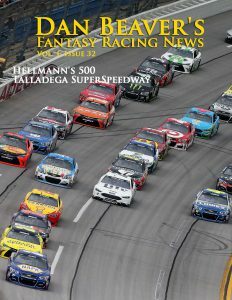 On several occasions, an accident at Talladega has affected 50 percent or more of the active field, which means that unless one is incredibly lucky, half of one’s fantasy roster is going to sustain some damage. There are steps that can be taken to minimize the destruction once a “Big One” erupts. Some drivers and teams have a knack for keeping their cars running with dented sheet metal, but races at Talladega and Daytona are really about luck and very little else. These fantasy contests employ a strategy that does not get used elsewhere. Since a mid-priced driver has just as much likelihood of scoring the victory as the most expensive driver in the game, it does not make any sense to spend freely at the top. Kevin Harvick has one win at Talladega, but then again so does David Ragan. They say you can’t go home again, but NASCAR has already been to Kansas Speedway this May. That race came on the heels of Talladega SuperSpeedway’s Geico 500 and two weeks after the Coke 600 at Charlotte Motor Speedway. The Hollywood Casino 400 comes in the wake of an extremely volatile Bank of America 500 and before what is certain to be an equally uncertain Alabama 500 at Talladega. Last week, the 12 current Chase contenders posted an average finish of 18.2. That was their worst performance as a group in their last 44 attempts dating back to 2011. Five Chasers finished outside the top 30 and it has been a long time since that happened. The problem is that Kansas has an even worse race in their history as a Chase venue. as at the end of his career at the time. Michael Waltrip triggered a mid-race pileup on the backstretch late in the LifeLock 400 under dark and gloomy skies. 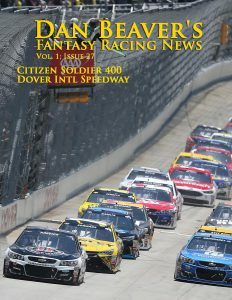 The Bank of America 500 and next week’s Hollywood Casino 400 will be the eye of the coming storm for several drivers. 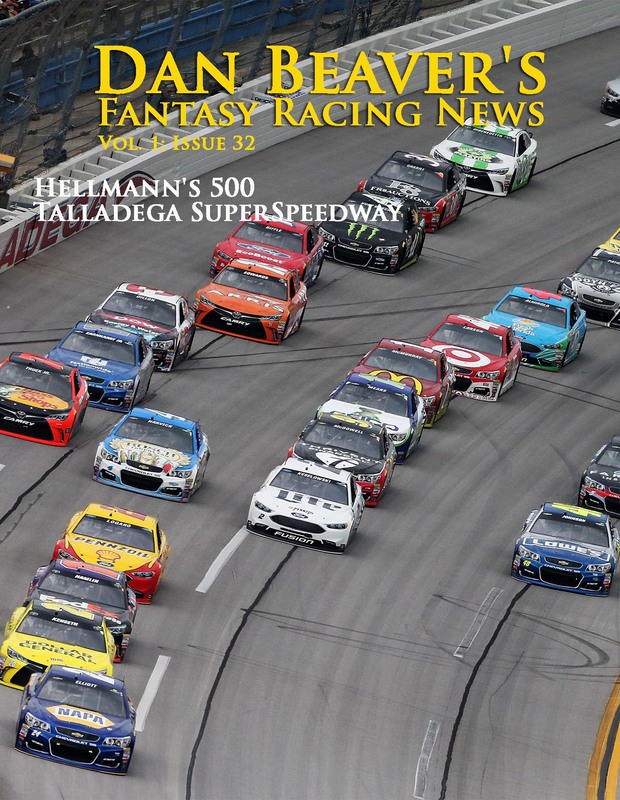 Two of them are likely to win in the coming weeks, so they can head to Talladega SuperSpeedway without worrying about the seemingly inevitable Big One crash. Of the eight drivers who will advance into round three, six of them will qualify on points. Anything can happen on the restrictor-plate, superspeedway. Drivers can only do the next best thing and that is run as well as possible on courses where skill instead of luck dictates the finish. Earning enough points at Charlotte Motor Speedway and Kansas Speedway means that some of the pressure is off at Talladega. A 15- or 20-point cushion is not enough if eight or more Chasers survive the carnage, but it could be the difference between advancing or falling out of the playoffs if the number is anywhere south of the cutline. Of course it does not always work out that way. Last year, Denny Hamlin finished fourth at Charlotte and second at Kansas, but he could not survive ‘Dega and was eliminated. Meanwhile, Kevin Harvick’s second-place finish at Charlotte an 16th at Kansas gave him just enough cushion that a 15th at Talladega was enough to advance to the next level. One must get all they can while they can. Dover stands alone. There are no real comparatives for this track since Bristol Motor Speedway began monkeying with the top groove and added progressive banking. Although it is not defined by them like Talladega SuperSpeedway, Dover is prone to “Big One” crashes with a narrow backstretch that can get clogged by an accident soon after a restart. No one is absolutely safe except for Martin Truex Jr. and Harvick, and only three could finish worse than 15th and still breathe relatively easy. Kez, Kyle Busch, and Matt Kenseth would need a combination of multiple bad factors to fall out—but wasn’t the same thing true of Jimmie Johnson last year before the AAA 400? One minor mistake is all it will take and that does not have to come from the driver himself. If one of the spoilers pushes too hard trying to get a top-10 and clips a car exiting turn two, the resulting melee could move the Chase race to the garage as multiple playoff contenders battle to see who can repair their car the fastest to stay ahead of their stricken competitors. Meanwhile, McMurray and Austin Dillon are only five points out of contention and they could sail toward the front. Suddenly NASCAR’s unique formula of having non-playoff drivers in the same event as the contenders makes a very big difference—not because they are more likely to make a mistake (which they are), but because of the separation they add between a 20th-place finish and another Chaser who scores a top-10. Short, flat tracks are the second-most common type during the season and the Chase. New Hampshire Motor Speedway is the first of this kind in the playoffs. Like Chicagoland and Dover, New Hampshire has always been won by a Chase contender, including six current Chasers. With 16 of the fastest drivers in playoff contention, it is almost certain that another Chaser will win the New England 300. That will be the 100th victory for them in 122 starts—meaning 82 percent of all Chase races have gone to current contenders. 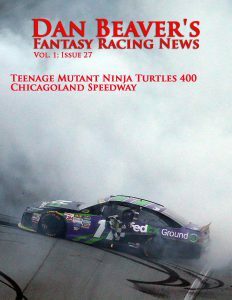 Last week, Chasers dominated the Teenage Mutant Ninja Turtles 400. If not for a late race caution that altered strategy, they would have swept the top five, but Ryan Blaney was able to insert himself into fourth. Still, 13 of the 16 drivers finished 16th or better, leaving only three positions at the very front of the pack for non-Chasers. Two others finished in the top 20, creating an incredibly tight battle for 12th—which is the cutoff to make round two. At the end of the race, 13 points separate sixth-place Chase Elliott from 15th-place Kyle Larson. Tony Stewart currently sits on the bubble as of this writing in 12th with only a one-point advantage over Austin Dillon, Kevin Harvick, and Larson. Jimmie Johnson will almost certainly join Dillon and Harvick with 2,027 points once penalties are handed out because his car failed the LIS (Laser Inspection Station) after Chicagoland’s race. Stewart, Jamie McMurray, Kurt Busch, and Carl Edwards will move up a position in the standings and this will create a three-way tie for the bubble. The slightest mistake can be critical. 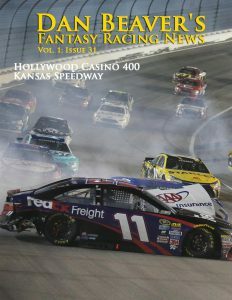 Johnson’s loss of 10 points would not be as catastrophic if he had won the race, but a pit road speeding penalty late in the going dropped him from contention for the victory to 12th. Martin Truex Jr. had a flat tire early, but overcame the lost track position and won last week. He will be hit with the same penalty as Johnson for the same infraction, but in all likelihood gets to keep the win and its automatic advance to round two. Larson was in a great position to advance in the points, but he cut a tire down just before the final caution waved to set up a green-white-checkered finish. In today’s “No-Driver-Left-Behind” Era, the loss of a lap cost him at least 12 positions—and with that, 12 points. By design or happenstance, the two track types that dominate the Chase also dominate the season as a whole. Flat tracks are represented New Hampshire, Martinsville, and Phoenix—and at less than a mile in length, they are all of the shorter variety. Similarly-configured, 1.5-mile tracks have four or five races depending on how one classifies Homestead. Kansas and Charlotte are in round two with the Talladega lottery tossed in for giggles and to keep drivers at a heightened sense of anguish. Texas is wedged between two flat track races in round three—and of course, Chicagoland kicks off the Chase and round one. Round one is the most eclectic of the rounds. With one similarly-configured, 1.5-mile track race, a short, flat track contest, and the high banks of Dover, drivers really have to show their range. One wishes NASCAR rearranged the remainder of the Chase to showcase the variety of racing and talent in each round—perhaps by replacing either Kansas or Charlotte with a road course race and Martinsville or Phoenix with a different track type—but we digress. The weakness of the schedule actually plays into the hands of fantasy players. Back-to-back races on “cookie-cutter” courses in a few weeks and the slight separation of the short, flat track events means owners can concentrate on these two courses. Seven (or eight) of 10 races run to a type, leaving one to worry over Dover, Talladega, and perhaps Homestead—and since nothing is predictive for the restrictor-plate, superspeedway, in essence Dover stands alone as a track where handicapping occurs in a vacuum. This week’s challenge is how to handicap Chicagoland, however. Even though more than a quarter of the races are contested on similarly-configured, 1.5-mile tracks, it has been nine weeks since one was last visited. At two miles in length, Michigan International Speedway provides some insight, but the last “cookie-cutter” race came at Kentucky Speedway and that was a bit of a wild card because of a recent repaving and reconfiguration project.